This place has been renamed POC CHUC and serves the same excellent panuchos, beans and tortillas as before. When you've got a cold, nothing hits the spot like soup. The spicier and saltier the better, because all subtle flavors are lost to your cold. Perhaps that is why I thoroughly enjoyed the Mondongo at Popol Vuh. 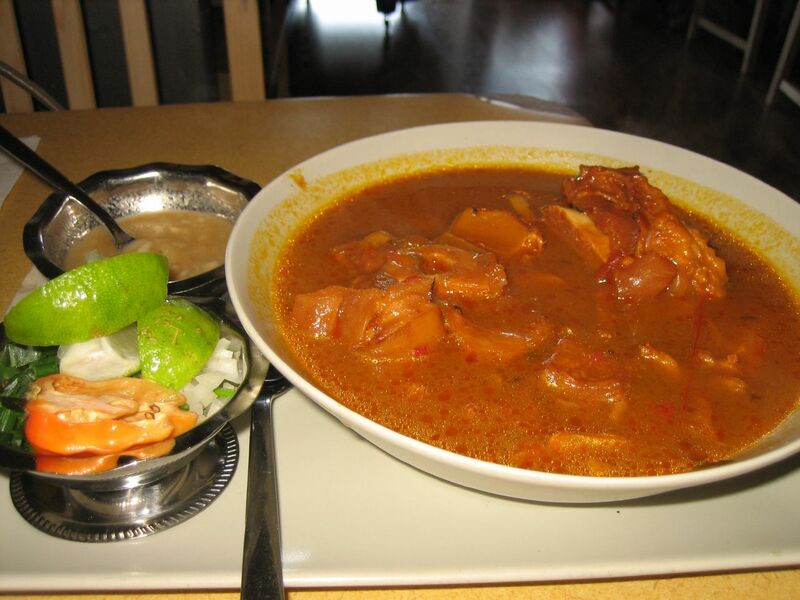 A beefy broth with a roasted tomato base flavor surrounding pieces of tender tripe. The soup gets its flavor from the large bones which look like cross sections of a shank bone, but were lined with a fatty looking protein. As I bit into the slightly chewy gelatinous layer, the server told me that it was the 'knuckle' of the cow. Um, cows don't have hands -- so then this must be cow's feet? 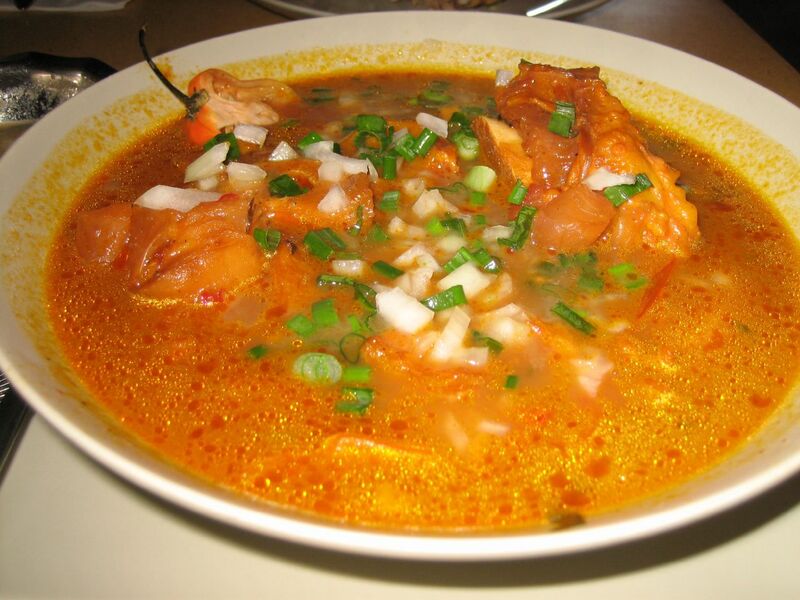 In any case, the consistency and taste was almost exactly like pig's feet which explains the rich flavor of the soup. With the addition of half a habanero, some cilantro and onions, I regained the ability to breathe through my nose. Who needs sudafed when you have chilis?